Great news! The Office of the Bursar Records have been digitized and are available for researching, right from your computer. Why is this significant, you ask? The majority of W&M’s early historic records were destroyed by fires. The Bursar’s records are some of the earliest surviving records detailing the university’s history, dating from the 18th century. Of particular note are references to individuals enslaved by the institution, as well as references to the Brafferton Indian School. The collection includes reports, financial statements, statements of rents due to the College, revenues from the exportation of tobacco, the duties on skins and furs, and bills of lading. 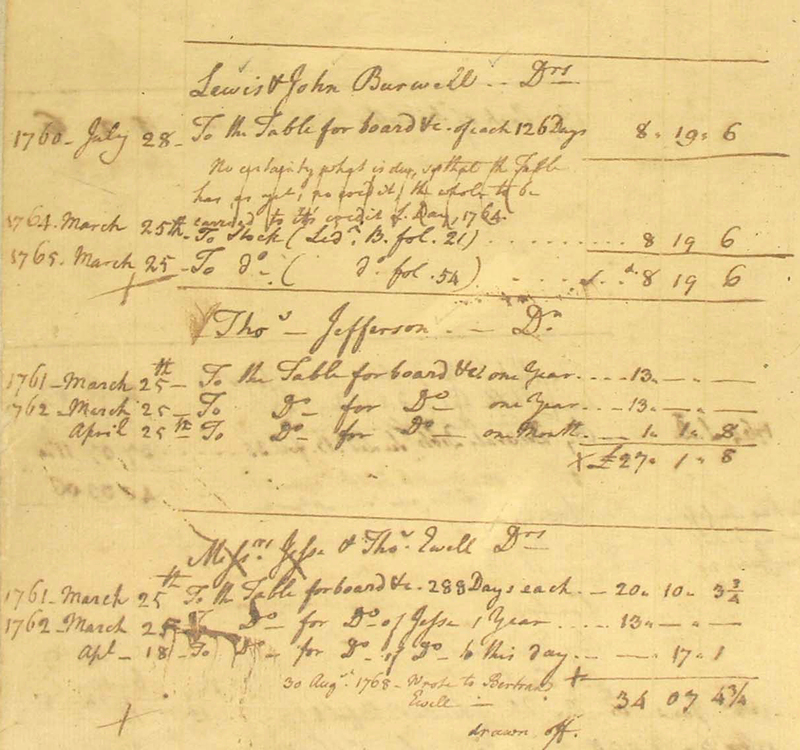 The account books reference student accounts, including that of Thomas Jefferson.